I sell this item in knockout price this time for poverty. Please give me payment within three days after a successful bid. 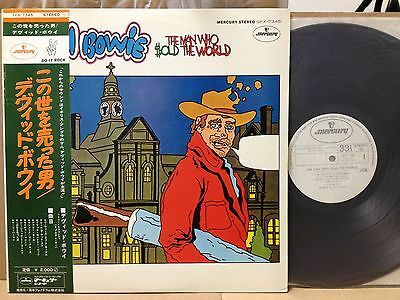 DAVID BOWIE/The Man Who Sold The World ULTRA RARE JAPAN ORIG MERCURY PROMO LP w/OBI COMPLETE! It is whether this item comes out in Japan once in five years, or not to come out. The price is USD7,000 from USD6,000 in the state of a mint with a OBI. The major retail store of Tokyo DISK UNION buys it for USD5,000. A mailing cost is no charge by registered mail(Tracking Number). Packing is greatly made severer than LP size.